Congratulations to former Detroit Red Wings Nicklas Lidstrom and Sergei Federov for reaching The Hockey Hall of Fame. Lidstrom's No.5 Jersey has already been retired and hangs in the rafters at Joe Louis Arena. As for the No.91 worn by Federov, there is no such of a spotting at the top of the Joe. Will Federov's jersey ever reach the rafters? If you believe in the phrase that "Time Heals All Wounds"then the answer would be Yes, especially now that Federov is heading to The Hockey Hall of Fame in Toronto, ON, CA. In the 2003 offseason, Federov wanted to leave Detroit badly and turned down the Red Wings 5-year-$50 Million offer. He took less money to join the Anaheim Ducks agreeing to a 4-year-$40 Million to live in Southern California. Federov would pick-up his milestone 1,000th point with the Ducks. I recently signed a petition that the Tiger Stadium Grounds should continue to have the Historical Natural Grass over a New Artificial Surface. Call me an old school, traditionalist that enjoyed seeing my boyhood idols play on grass at "The Corner." Time will tell if this ever happens. But I say that grass is a safer surface and I can attest to this because when I Played or in My Media Projects, My Knees took a Major Beating. Nonetheless, I'm still glad that there will be baseball played at "The Corner" as well as other productive redevelopment on these sacred grounds with the Police Athletic League (PAL) involved. There is way too much history to see it be wasted away. I commend all of the volunteers that have put in their time to work on the field and from what I've read, it's still being used regularly. When I heard that on May 24, 2015 that "The Gordie Howe International Bridge" was going to connect Detroit to Canada, this seemed unreal, yet well deserved. Howe was born March 31, 1928 in Floral, SK, CAN and spent the majority of his NHL Career with the Detroit Red Wings mainly residing in the Southfield-Lathrup Area. Back in November and December of 2014, Howe was experiencing major health problems. The family was planning for a funeral. Thankfully, that funeral hasn't happened. 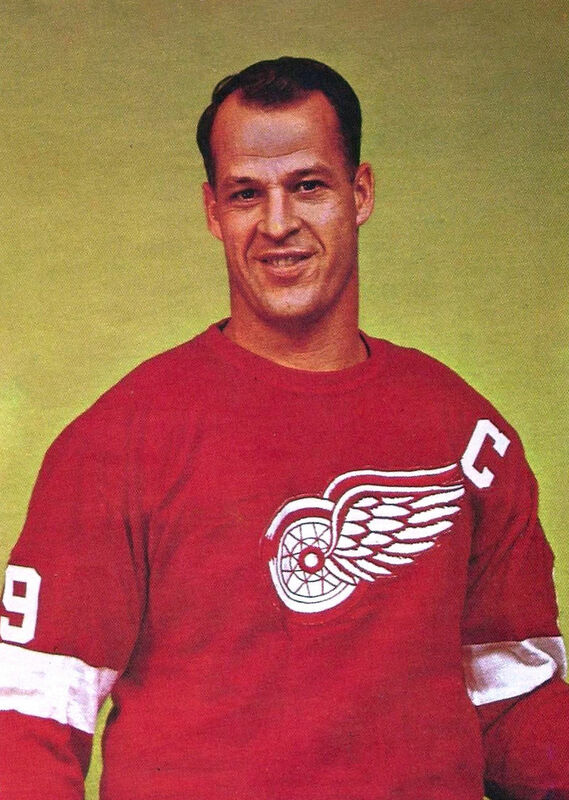 Instead, thanks to Stem Cell Treatment performed in Mexico, Mr. Hockey is still with us. All I can say is I'm glad that he's alive to hear his latest honor. I can just imagine how he feels inside. He's an icon in two countries and in the sports world. I hope that he's still alive to take the first drive across the bridge which is expected to open up in 2019-2020. Construction on the bridge has started. The cost estimate is $1 Billion-$2.2 Billion. The ceremony was attended by Canadian Prime Minister Stephen Harper on May 24, 2015. Talk about timing, The Gordie Howe International Bridge and the Detroit Red Wings New Arena are under construction at the same time which is fantastic. I was hoping that former Wisconsin Center Frank Kaminsky would be selected by the Detroit Pistons. However, that never came to fruition. I thought Kaminsky would remind me of a tall center that used to play for the Pistons named Bill Laimbeer, who also shot well away from the basket. The only difference that I see between these two players is Laimbeer had the reputation of being one of the most hated players in basketball. He played more mind games, threw untimely elbows and instigated many confrontations to get in his opponents minds. Laimbeer's style played a large part in the Bad Boys winning a pair of NBA Titles in 1989-90. I wouldn't be surprised if he burned enough bridges on the court that hindered his coaching career. Now Kaminsky gets to play for the Charlotte Hornets. His boss is former Pistons rival Michael Jordan and don't be surprised if Jordan does talk about his battles with Laimbeer, The Bad Boys, and the growing pains on his way to six championships with the Chicago Bulls. We do know that Kaminsky won't have to ask Jordan for his autograph since it will now be on his paychecks. What a small world we do live in. Once upon a time, Kaminsky took a shot questioning the small crowds at Charlotte Hornets/Bobcats games compared to his home court at the Kohl Center in Madison, WI. Where is Kaminsky starting his NBA Career? I can only just imagine how his first press conference went with the local media. Since basketball returned to Charlotte in 2004, the franchise has only made the playoffs twice. On a recent episode of Mike and Mike, former Pistons Coach Larry Brown provided insights on why Darko Milicic was a bust with the second selection in the 2003 NBA Draft. Darko played for a third-tier Serbian team called Hemofarm. Darko didn't love the game of basketball. The Pistons saw a 7-foot 275-pound prospect and were hoping he would be a dominant player that could provide a low-post presence. Obviously, that didn't happen and has turned out to be one of the biggest blunders in NBA Draft History. Milicici characteristics turned out to be a deadly recipe for disaster and a reason why my blood pressure, in addition to my heart beat, takes a beating when I see foreign prospects at the top of the draft. I'd rather have a college player that I have much more knowledge about playing even one or two years, than a foreign player that doesn't have much film. I know NBA teams have more international scouts since these prospects could be expensive mistakes. But I would rather play it safe. If I could get a three or four year player, who is experienced and more mature, that's even better. Finally, with unrestricted free agency hours upon us, I like how soon to be former Detroit Piston Center-Forward Greg Monroe says he "Unwanted." If this isn't "Insanity," then please describe what's the definition of the word. 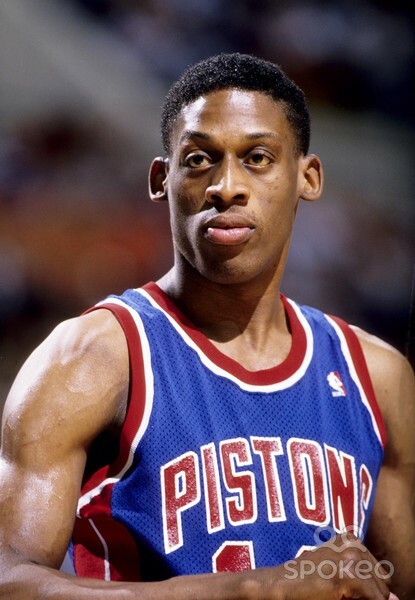 For the past year, the Pistons have been working hard to sign Monroe. Greg was determined to be a free agent and now the that time has come. I realize that he hasn't made the playoffs in Detroit and totally understand his frustration. There has been instability with the coaching and a change of ownership. With with President/Coach Stan Van Gundy's leadership, the climate is spiraling upwards. Monroe said he wants to win. If he signs with the New York Knicks, who won a franchise worst 17 games last year then I need another English Lesson about the word "Winning." This has a Sergei Federov twist to it where Monroe was determined to leave town regardless of how bad the team wanted to retain him and was willing to pay him extremely well. On the other hand if Monroe decides to find another team closer to winning, then more power to him. I understand a fresh start could be good for him. However, not being wanted is a bunch of "Hogwash." The Pistons off-season moves were made with Monroe's departure in mind. It's not a crime for both sides to move on. When Grant Hill left the Pistons following the 2000 season, the Pistons won an NBA Title in 2004. Need I say more. What I will say is the guarantee I'll make is the only time you'll see the No.10 Jersey is in the rafters at the Palace of Auburn Hills or an arena in Downtown Detroit. Remember Dennis Rodman? He was the heart, soul and spark plug of the Bad Boys and is a Member of the Basketball Hall of Fame!